Long-term care is on the minds of many people, specifically with retirees. Why? The U.S. Department of Health and Human Services has reported that 70% of people over age 65 will require some type of long-term care during the rest of their lives (this includes assisted living and home health services). Moreover, many retirees live with only a moderate amount of retirement savings. That means there is great chance a long-term care event could wipe out what they worked so long and hard for. There are a couple of options to protect against a long-term care event. By far, the best option is to purchase a stand-alone long-term care policy. These policies generally have many different options such as inflation adjustments, benefit sharing between spouses, and higher benefit limits. However, there are well-documented problems with these policies. One of the most significant issues is the increase in premiums many policyholders have faced in the last several years. Although there appears to be a price stabilization in the market, many potential policyholders question whether or not it is feasible to purchase a policy that they may never use. Yes, this is the purpose of insurance; however, long-term care insurance can be particularly expensive. It is this high cost that has many people and retirees thinking twice about this important coverage. Additionally, many insurance companies have exited the traditional long-term care insurance market due to the inability to service future claims. There are only a few, large insurance companies remaining in the traditional long-term care market. Enter the long-term care rider. This rider allows a person to use non-qualified money (some carriers now allow qualified money) to purchase a life insurance contract or an annuity with long-term care benefits. The owner would still need to meet the definition of needing care (which is the inability to perform 2 out of 6 activities of daily living or having diagnosed mental illness/Alzheimer’s). The major advantage is that benefits can be shared between the annuity and the rider, essentially creating two forms of coverage under one plan. The LTC benefit is different among each carrier, but generally the long-term care payout is 2X or 3X the initial premium. For instance, if you made a $100,000 contribution to the annuity, and the LTC rider was 3X, you would have $300,000 of long-term care benefit for your needs. There can be limited benefits. You generally need to have at least $50,000 minimum in order to invest in one of these policies. Some offer flexible premium contributions. Nevertheless, these plans can provide much-needed relief and peace of mind for people. Although we don’t directly work with these combination life insurance/annuity with an LTC rider, we work with other organizations that do. 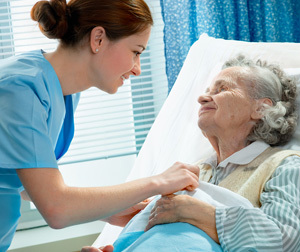 If you are interested in learning more about a traditional long-term care policy, we can help. If you need a life insurance/ annuity / LTC rider, reach out to us, and we can facilitate the discussion. We have helped many individuals determine if this type of annuity is needed in their situation.